Our 2017 Team is up and "Swimming" again! Practices are Tuesday, Wednesday, and Thursday during the lunch hour. Also, the dates of our upcoming Swim meets have been scheduled! These two meets will begin at 8:30 a.m sharp! If your child is unable to attend any one of these meets (especially the semi-finals / finals) please let coaches know ASAP so we can make necessary adjustments to event sheets. Mark your calendars! 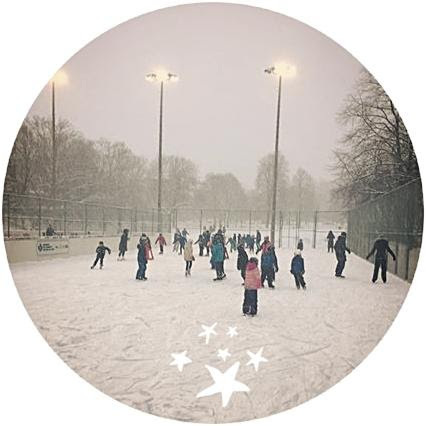 We were so happy to have such a successful skating party last weekend that we have scheduled the next skating party for Sunday, March 5 from 4-6 pm at Ramsden Park, 1020 Yonge Street (just by Rosedale subway station). This is a free event and everyone is welcome! We hope to see you there! From bubbles to butterfly, they teach children 4 months and up how to safely swim in small, fun, and dynamic classes, and evaluate them using the criteria put forth from the Red Cross swimming program. Since 1986, their classes have taught children the essentials of swimming, how to stay safe in and around water, advanced techniques for competing or eventual life guarding, and everything in between. Next Swim lesson sessions begin March 20th.